If you’re looking for a headache solution outside a pill bottle, consider trying qi gong exercises. With the ability to help relieve tension, boost circulation, and calm the mind, qi gong can be a powerful and natural remedy for headaches. Headaches are an affliction that affects millions of people worldwide. From mild to severe, headaches affect our quality of daily life. The causes of headaches vary greatly, from neck tension to hormonal issues, from a night of drinking to looking at a computer screen too long. The good news is that there is a wonderful natural solution to all kinds of headaches. I’d like to introduce you to an ancient practice called qigong. Qi means energy. Gong means to work with. 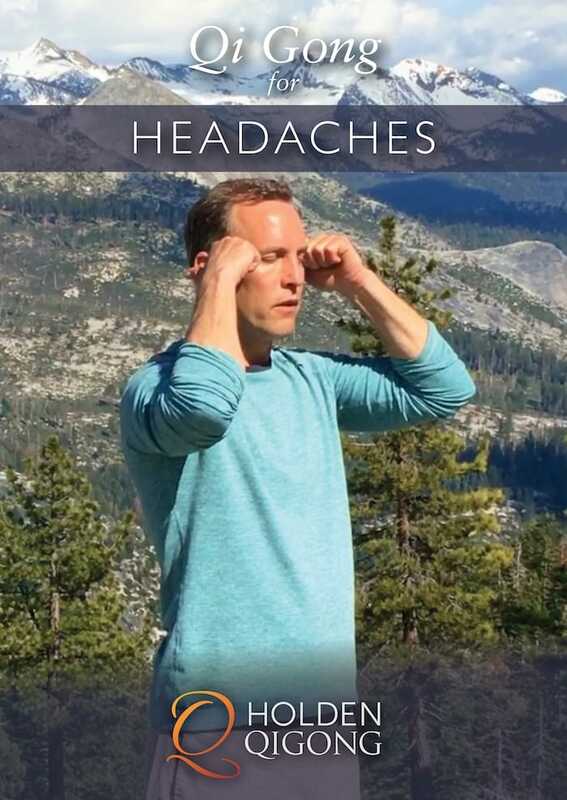 In this program, I’ll teach you gentle stretches, flowing movements, and energy-activation exercises to relieve headaches effortlessly and without side effects. There are approximately 45 million Americans complaining of headaches each year. That works out to about one in every six people. Qi gong is an ancient practice that can help clear tension and improve the flow of circulation in the head, neck, and shoulders. When the energy gets stuck or blocked, it’s easy to get a headache. When qi flows smoothly, headaches naturally clear. When you feel a headache coming on, suddenly the only thing that matters is relieving that tension—and fast. But if you’re looking for a solution outside a pill bottle, consider trying qi gong exercises. With the ability to help relieve tension, boost circulation, and calm the mind, qi gong can be a powerful and natural remedy for headaches.